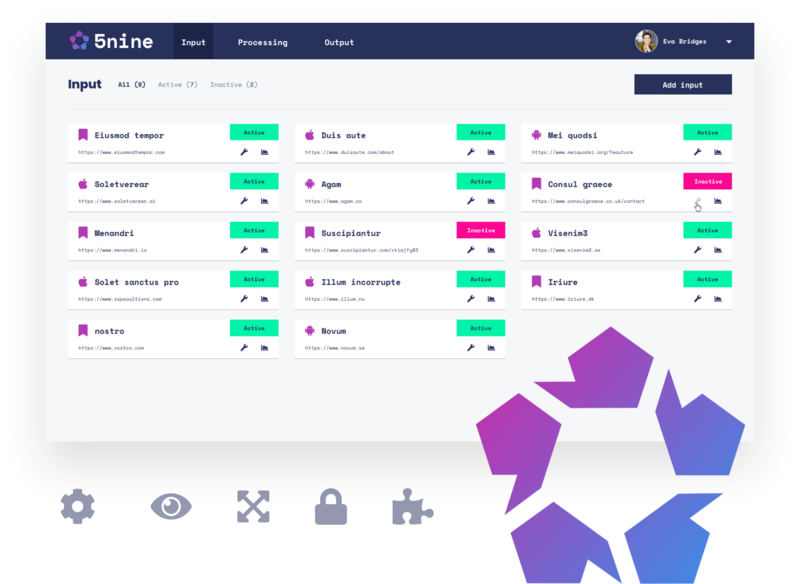 From our battle-tested enterprise platform, we've derived a suite of purpose-built products tailored for specific customer data use-cases. 5x9 helps you capture every customer touchpoint and distribute it to where you need it to be. Different use-cases means different requirements, and 5x9 provides the tools to meet them all – remove noise, transform the data to fit your needs, and identify your users across all channels. Predictive Customer Lifetime Value (LTV or CLV) analysis that helps identify your most profitable channels and audiences. 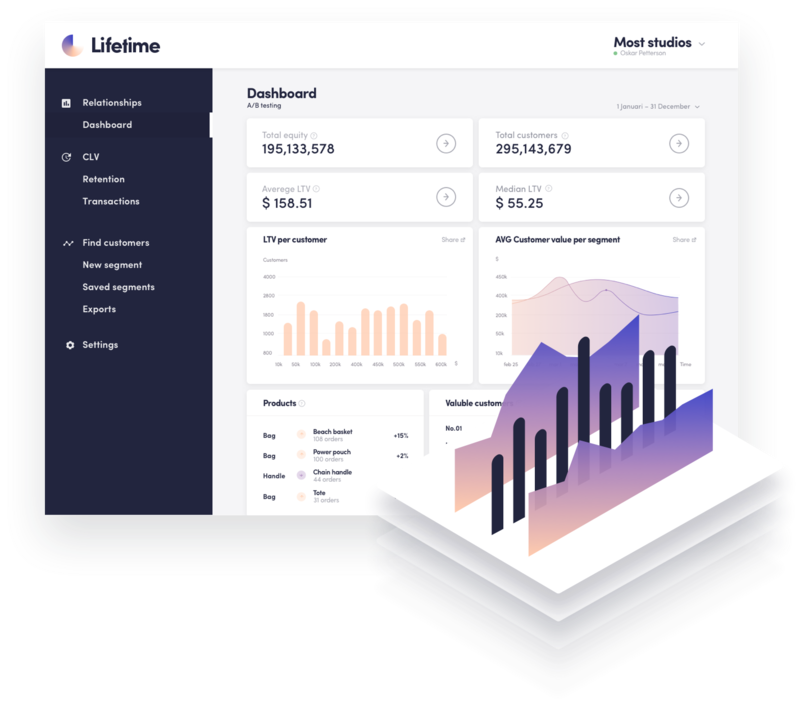 Lifetime collects data from the entire customer journey – including offline transactional data, user behaviours event and ad revenue – to help you become smarter by making you understand which channels, products and behaviours are most valuable for your business. 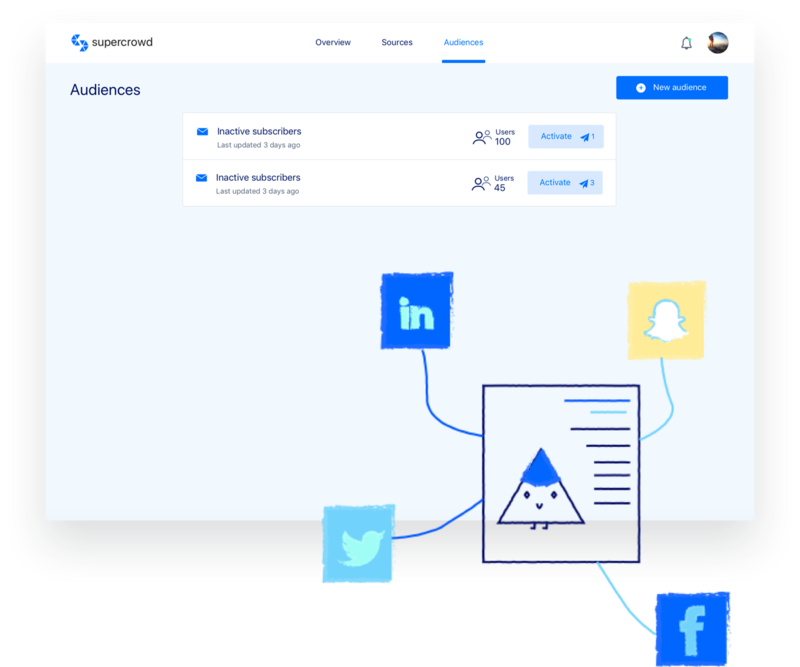 Supercrowd helps you build better audiences by making it easy to connect website, marketing and customer data, all in one place. Activate these audiences by connecting your marketing channels to Supercrowd – to make sure you can reach any audience in every channel, allowing you to reach your customer's where they are.